Oh I do love this card! Sometimes you create something that just makes you feel like a proud mama :) The houses were stamped on watercolor paper and colored with Distress Inks (dab distress ink pads directly on your craft mat, mist your mat with water, and dab the paper on top). They are cut individually and layered. Alright, well now there's only 30 minutes left in Friday. What are you looking forward to this weekend? I'm looking forward to my college basketball team (hopefully) finishing in Top 4 and springing those clocks ahead! Can't wait for more sunshine! Your colors are so pretty!! Love it Rachel :) CONGRATS on your publication!! 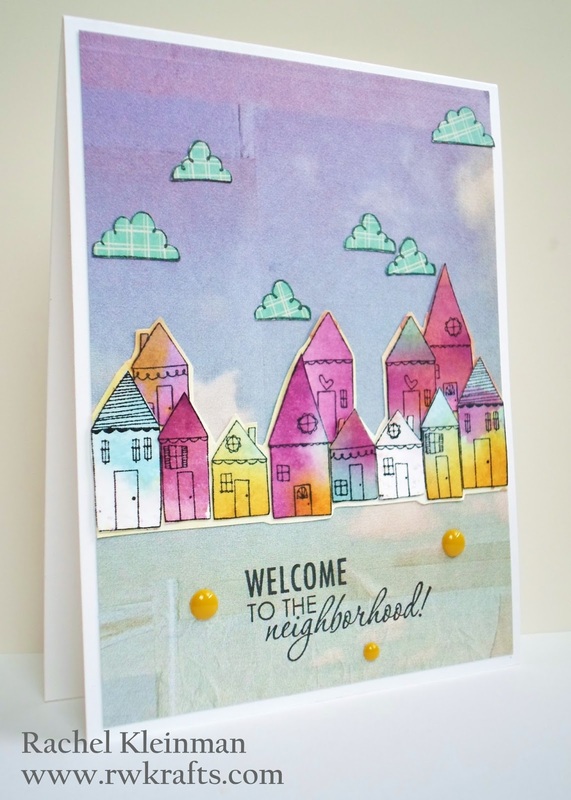 Cute card, love how you colored the houses! Congrats on your pub Rachel. Love this card. Cheering for the same team but I won't be losing that hour early Sunday morning-LOL! can you believe how horribly that ended?! ugh! Super great card! I love your houses! and Wow how fun to be published, Congrats! I found you through Unity's Friends with Flair. Wow! Congrats on being published in Cards! I haven't checked out my issue lately. I'll have to look. This card is so pretty. I'll have to see which stamp set that is. Congratulations on being published in Cards! I love that magazine! Your card is very lovely! No wonder this was published, it's gorgeous!!! Love the design and that cute row of houses! Congrats on the publication! The card is fabulous! Glad you made the deadline for FWF,... this is amazing! Love the wash of gorgeous colors. Congrats on getting published! Great colors! Love all of the colors! Congratuations on your publication!!! I just love this card!!! Congrats on the publication! Love it. 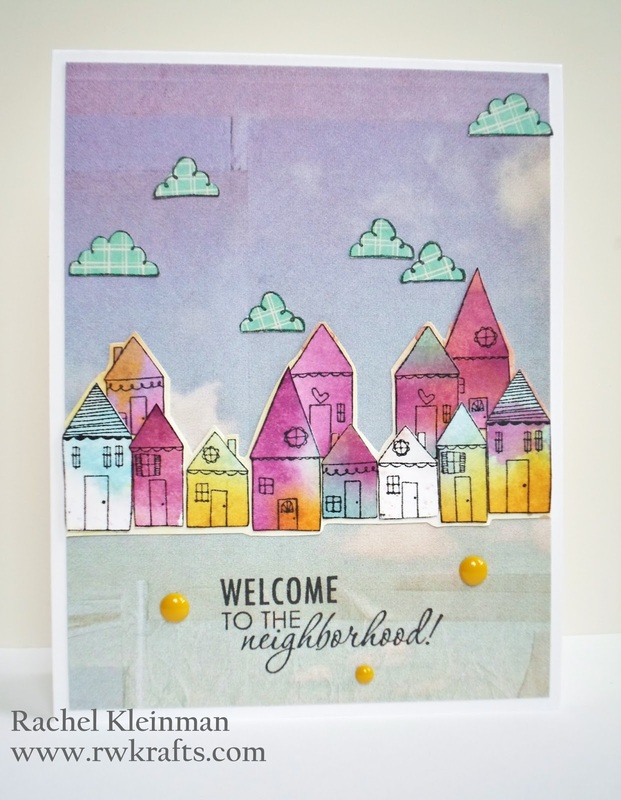 LOVE this card and how you used the distress inks!! Congrats on the pub!! This is truly a beautiful card!